What are the ingredients of creating an automobile that gracefully survives a production span of nearly 2 decades? The unbelievable 19-year production span of the SL Mercedes Number coded 107 has only been surpassed by the unique Mercedes G-Wagon. 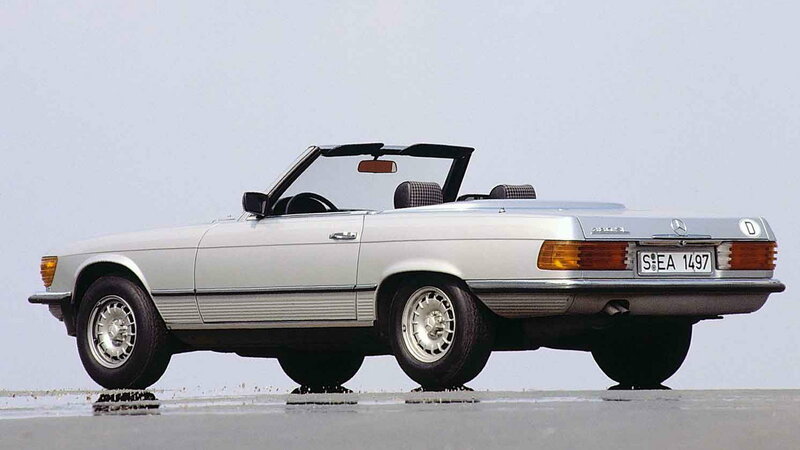 The seemingly overextended lifetime of the Mercedes model was due to its purity and legendary design. From the timeless styling to the pioneering engineering and technology, the model succeeding the amazing Pagoda has been on the receiving end of plenty of praise over the years. 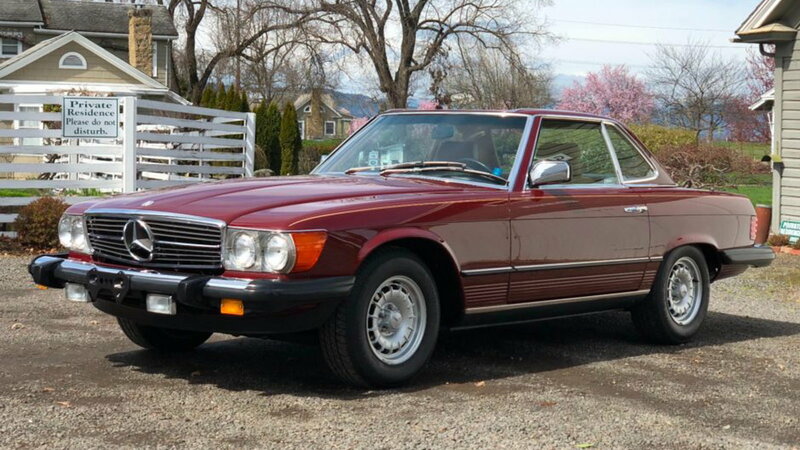 The unrivaled character of the convertible introduced in 1971 is what set it apart from anything else on the market at the time, turning it into a huge hit and a massive success for Mercedes-Benz. So much so, that for the remainder of its multi-decade production span, it only underwent minor facelifts. But in reality, you cannot truly understand the magnificence of the R107 until you get behind the wheel of one. Especially with the top down, driving it makes you feel superior to everyone else sharing the same road. >>Join the conversation about the still beautiful R107 right here in MBWorld. 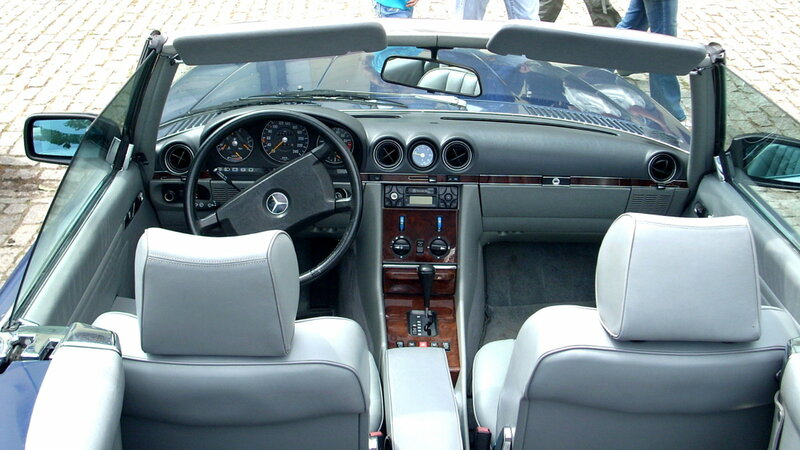 The SL badged Mercedes went through a number of engine updates over the years. Of course, the American models and the European models, aside from the visual differences, the model went through a few changes in the power plants as well. In the US models, the 450SL was sold between 1972 and 1980. The engine was a 4.5-Liter V8 that produced 190HP in the initial model years, and 180HP later. Next, came the 380SL. The 3.8-Liter V8 in the 1981 model year was also in the 1981 SLC model as well. It produces 150HP, and the 380SL ran until the next update in 1986. Which brings us to the 560SL. This final version of the R107 ran until the end of production in 1989. The engine was a 5.6-Liter V8 motor, the most powerful of the bunch, producing 227HP. European models had an even wider variety of engine options over the years, the fastest of which, the 500SL/SLC, produced 240HP. And get this, they even had the option of a 5-speed manual transmission across the pond! Other models include a 280SL, 300SL, 350SL, 380SL, 420SL, and 450SL. The huge variety of powertrains over the 2 decades of production is a testament to how much of an engineering gem the 107 platform really was. while the majority (2/3 in fact) of the sales of the R107 and its sister Coupe C107 were made in the US, we can't help but wish we could get the look of the European design Stateside. Many have modified their American versions with the European headlights and taillights, as well as the bumpers, while some other have just opted for a straight import. Regardless, the powerful presence and stance of the SL and the SLC, combined with the unforgettably pure design of every line are what make the cars so specials to owners and enthusiasts alike. With over 300,000 cars sold, R107s may not be the rarest finds. 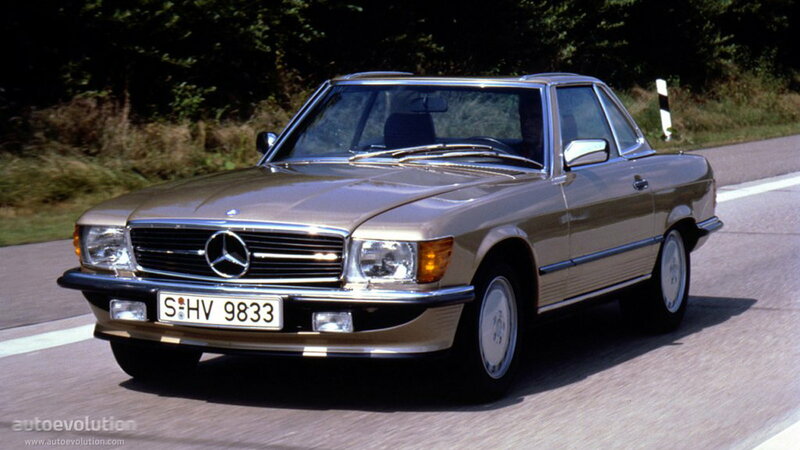 In fact, the W113 Pagodas are considerably more desirable and more expensive than their successors. As a die-hard fan of the R107, I am thankful that they are still plentiful and more affordable to attain. 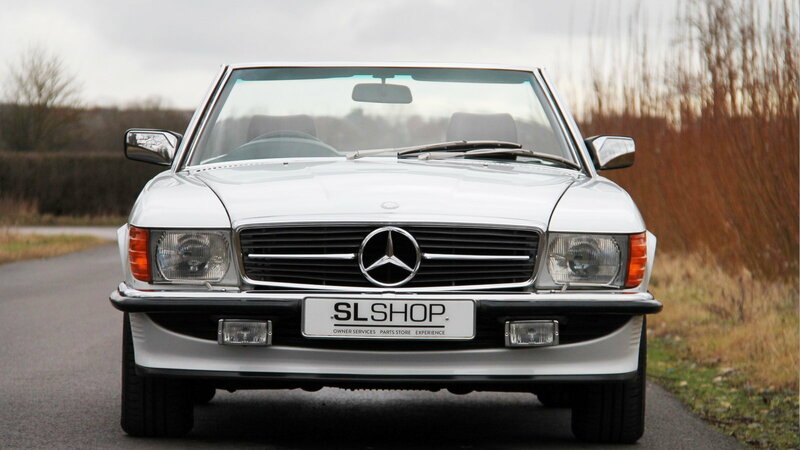 One thing that holds true to this day is the timelessness of the design of the SL Benzes popular through the 70s and 80s. With nods to the Pagoda's aesthetic, and has been a source of inspiration for generations of SLs to follow, the legacy of these beautiful Mercedes 2-doors holds up greatly.